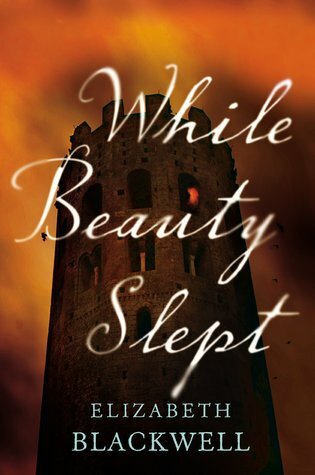 Elise Dalriss is shocked when she overhears her great-granddaughter reading the tale of the beautiful princess who slumbered in the tower and of the handsome prince who awakened her, for she knows the story is not that simple. And so she begins to recount the classic tale of Sleeping Beauty to her young great-granddaughter, warning her that it is not nearly as happy or glamorous as the fairytale. Elise is not the heroine of the tale, but instead the daughter of a poor family who sought work in the castle after the deaths of most of her family. It is there that she catches the attention of the lonely, beautiful Queen whose barrenness makes her cry every morning, and the King’s powerful aunt, Millicent, a calculating, magnetic woman. It is at the castle that Elise rises in the ranks until she is a powerful lady’s maid to the Queen, gathering secrets along the way. As Elise recounts her tale, it becomes clear that she was no mere bystander in the classic tale of the sleeping princess, but an active participant in the destruction and saving of a kingdom. It’s been awhile since I’ve done a book review. But the truth is I haven’t yet enjoyed a book so much recently that I care enough to talk about it. I first discovered this book in the hands of a customer as she brought it to the till. I looked down at the cover and it caught my eye. I quickly skimmed the inside over of it as the girl paid, and she told me how excited she was to read since it sounded really good. It was. If you’re expecting a story from the perspective of the princess, that’s not what you’re going to get. Something I really liked about Blackwell’s interpretation was that it was from the point of view from someone who was on the sidelines. The story follows Elise’s journey through her life in the castle, first as she arrives as a lowly servant and then as she rises through the ranks. She is not merely witness to the Queen’s loneliness, but also to the King’s temper, his aunt’s wicked ways, and the birth and life of the beautiful princess. Because of Elise’s position in the castle, we see a wide variety of stories and perspectives intertwining, which added nice depth to the story. Elise is not merely a bystander; she plays an active part in the unfolding of the princess’s story, and what’s more she has a story of her own. Her own story is oddly intertwined with that of the royal family’s. She continues to sacrifice her own personal happiness for the sake of the royal family’s, which makes her a lifelong friend to the Queen and princess. The book is set up to be more dramatic than it actually is, and this lack of drama is what slows the story down towards the second half. The way Elise tells her story is very dramatic, especially since she’s recounting the story as an older woman. She often adds foreboding warnings about what is to come, which often didn’t end up being as dramatic or as awful as Elise hinted at. Blackwell’s writing is melodious, and if you like rich stories which spans over a lifetime, you’ll really enjoy While Beauty Slept. I love fairy tale retellings! I haven’t heard of this one before though, and it sounds interesting! Especially since it’s not told from a princess’s point of view!